I've never seen this before either. 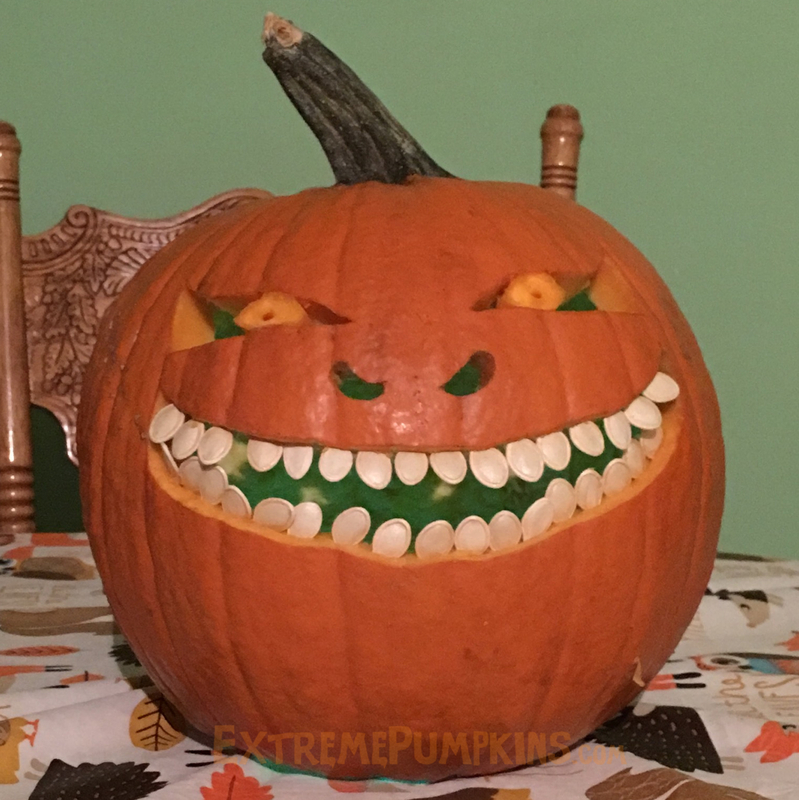 Someone using a large number of pumpkin seeds to make teeth. Hooray!